Homemade and baked goods have never tasted better than when you buy them from Sugar Mommas. This Maryland cake bakery is known throughout the state for making delicious confections from scratch. 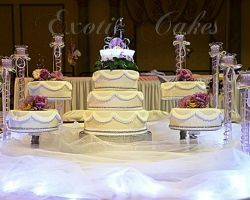 Countless couples have trusted this company to make their elegant and beautiful wedding cake in Baltimore, MD. This company creates some of the most gorgeous cakes around. For more of a personal and unique touch they can also make candies from scratch as well as a variety of chocolates. While many bakeries claim they do custom cake design, there are very few that can execute any design to perfection. 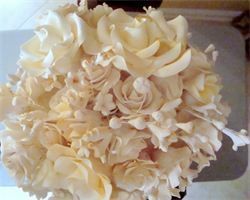 Exotic Cakes by Denise is one of the only bakeries that has created beautiful custom cakes flawlessly and consistently. There are simply no imperfections in the fondant foundation and the cake toppers they make are unique as well as edible. Combine the talents of this company with their affordable prices, and you have the best cake bakery for weddings and special occasions. There are few things tastier than a sweet Southern cake. Caroline’s Cakes makes these traditional confections, some of which are uniquely gluten free and the entire bakery is nut free to ensure peace of mind for everyone. These tasty treats are a healthier way to satisfy your sweet tooth. With decadent flavor combinations, these moist cakes will melt in your mouth. You can choose to have a cake varying numbers of layers as well as combinations of flavors and decorations including small and unique cake toppers. Having a beautiful cake can make any special occasion feel even more special. Oooh So Sweet Cakery and Cupcakery is the first place Maryland natives go when they need a tasty and expertly designed treat to celebrate an event. This company can make gender themed baby shower cakes, custom birthday cakes and so much more. 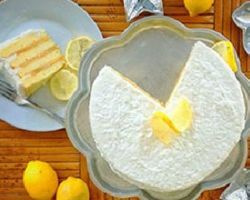 They have a huge range of flavors and combinations to choose from that include baking these flavors into a towering cake or into individual cupcakes. Designing your perfect wedding cake is what Hamilton Bakery does best. This company is known for making the cake dreams of couples come true. 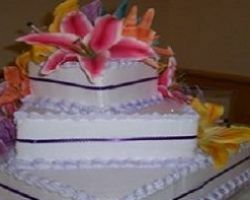 Whether you want something traditional and tiered with a unique flavor or would like a one-of-a-kind cake masterpiece that is totally personalized, this company can accommodate. They pride themselves on their creativity and quality. 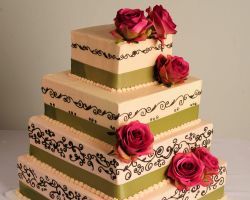 You will certainly be blown away by the custom cake you have made by Hamilton Bakery for the biggest day of your life. 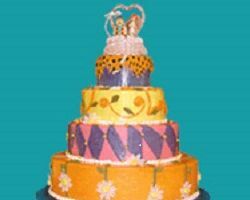 There seems to be an endless number of cake bakeries in Baltimore, which can make choosing the right one for your event difficult. If you simply want the best in the business for quality, design and reliability then The Cake Studio is the only option for you. This shop specializes in weddings cakes that are beautiful, elegant and personalized. By using the highest quality ingredients this company can ensure that each cake will be delicious. Combine this with their artistic designs and you have a winning combination. Since beginning in 1999, Rhonda’s Cakes has been growing in popularity for local weddings. With one expert baker, you will be dealing with the owner and the one making your cake at the same time. This helps to ensure a personalized experience. Once you have consulted with Rhonda, she will be put to work designing and making your cake to suit your event and your personal tastes. 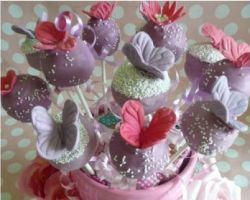 She can make top quality cakes of any shape, size and flavor meaning you will get a cake that you love. There is an element of sophistication added to each cake made by Piece A’ Cake. Whether it is in the size of the cake, the shape, the flavor or design, this company has mastered the art of making Baltimore wedding cakes. This bakery is owned and operated by the master baker Faith Wolf. 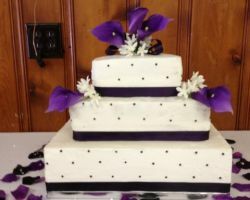 Faith and her team have made countless wedding cakes and special occasion cakes for clients in the area and beyond. The sweets that come from this shop are truly works of art.